After tons of research I went for this, I'm happy with the price as it's a lot more money everywhere else, apart from Ebay. The Reebok ZR9 Cross Trainer offers 32 levels of electronic resistance, and a flywheel weight of 9kgs. It has a simple to use LCD screen which displays your workout time, speed, RPM, watts, distance, and calories burned to help tailor your workout to your needs. It also features hand pulse sensors which monitor your heart rate whilst working out. 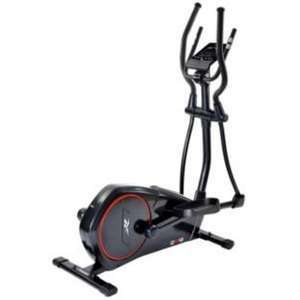 The Z9 cross trainer offers an optimal workout with low impact training for all fitness levels. 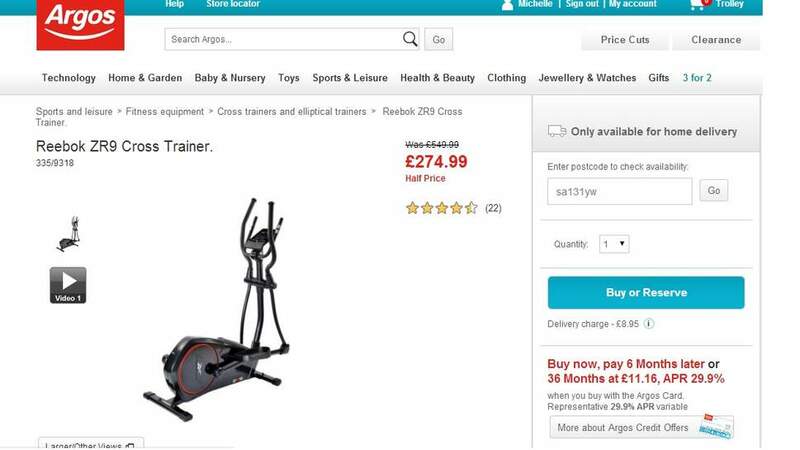 hi what is the stride length of the cross trainer...cant find this anywhere. How is the performance of this? I had a £60 one from amazon but it broke within 6 months... I'm not heavy (13 stone), but I do use it a lot and go quite hard on them. I've been looking at the low to mid range of 'Kettler' & 'Nordic track' but they are expensive. Ive had this cross trainer 12 months.. It hasnt let me down and i use every week. Nice smooth action and i particularly like the ability to create your own program. You can get a great cardio workout from this and buns of steel to boot! This is great for those like me who can no longer run through injury.